US President Donald Trump on Saturday went to one of his golf courses as the final public ceremony honoring late US senator John McCain was underway in Washington. The president’s motorcade arrived at Trump National Golf Club in Loudoun County, Virginia around 11:16am (1516 GMT) while eulogies to McCain were being delivered at his funeral at Washington’s National Cathedral. 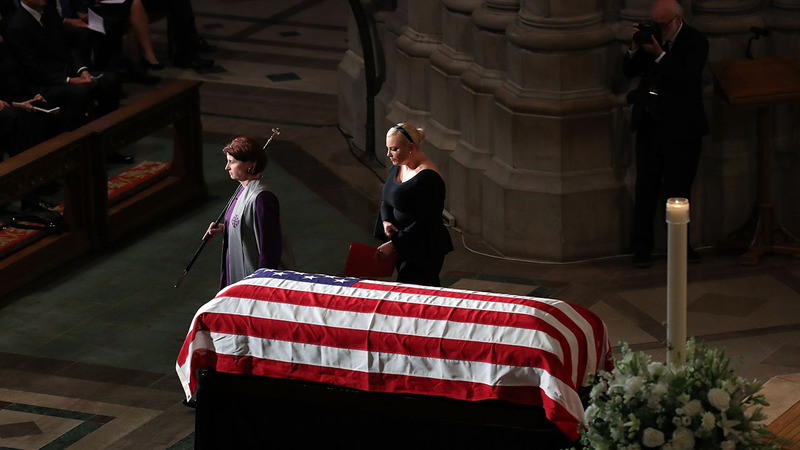 As one of his final wishes, McCain had asked that Trump not attend.